Versatile doesn’t even begin to describe Jordan Peele. With almost two decades worth of work on television, multiple roles on the big screen, and a majorly successful and Oscar-winning directorial debut, Peele has had a very successful career thus far, and with the recent release of his second feature film, things seem to be going very nicely for him. Peele had a somewhat humble start to his career, dropping out of Sarah Lawrence College in New York after two years to form a comedy duo with his roommate Rebecca Drysdale. In 2003, he joined the cast of hit sketch comedy show Mad TV, and would work on the show for five seasons before leaving in 2009. During his time on the show, Peele developed a skill for impersonations of celebrities such as Morgan Freeman, James Brown and Forest Whitaker. Peele also established a strong friendship with his castmate Keegan-Michael Key, leading to the pair embarking on several different projects together, including Key and Peele, a sketch comedy series broadcast on Comedy Central. The show (which also reunited Peele with Rebecca Drysdale, acting as a writer on the show) received widespread acclaim; former U.S. President Barack Obama, whom Peele frequently portrayed on the show, also expressed his admiration. The pair wrote, starred in and produced their first feature film, Keanu, in 2016. The comedy, which sees two assassins infiltrate a drug ring to recover their stolen kitten, was positively reviewed, and a box office success. The following year, Peele released his directorial debut, Get Out (which was also written by him). Starring Daniel Kaluuya and Allison Williams, the film received rave reviews, receiving a 98% score on Rotten Tomatoes, with praise going towards the performances of Kaluuya and Williams, and Peele’s direction and screenplay. Many critics praised the script for being able to deftly tackle themes of racial prejudice and slavery, and doing so in a way that felt unnerving, clever, and wonderfully entertaining. The American Film Institute picked it as one of the 10 best films of 2017, and it was nominated for 4 Academy Awards at the following year’s ceremony, winning the Oscar for Best Original Screenplay. Peele became the third person (after Warren Beatty and James L. Brooks) to get nominations in the Best Picture, Director and Original Screenplay categories for a debut film, and the first black winner for Best Original Screenplay. In the wake of Get Out’s release, Jordan Peele continued to work heavily in various different projects, taking on a recurring role in Netflix’s animated comedy Big Mouth, as well as producing the Oscar-nominated Spike Lee film BlacKkKlansman, which starred John David Washington and Adam Driver. Peele recently released his sophomore effort, Us, a film about a suburban family being terrorised by doppelgangers, to highly positive reviews, with high praise going towards Peele’s direction and screenplay, as well as the performances of its lead actress Lupita Nyong’o. Later this year, he will be hosting the fourth iteration of the hit sci-fi horror anthology series, The Twilight Zone. 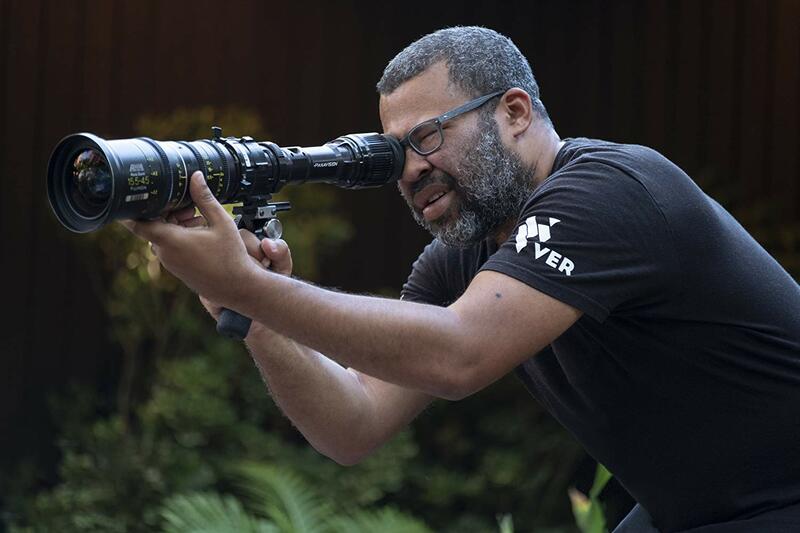 The last few years have seen Jordan Peele go from a beloved sketch comedy writer and star, to a leading player in the creation of memorable, well-made horror stories with thought-provoking social commentaries, and has left many, many people very interested to see what the rest of his career will produce. Us is in cinemas now. The Twilight Zone will be broadcast later this year.